Cindy wants to know how to get started investing. She doesn't have a clue where to start or what to invest in. Sandy wants to know how to pay off her debt, with the goal of being debt free by the end of the year. James is thinking about taking out a loan from his 401k to pay off debt. Is this a wise decision, or a disaster waiting to happen? I'm giving in-depth answers to these questions and more! Would you like me to answer your question in my next video? Leave a comment below with your question. The CFF Budgeting page– everything you need to organize and start a proper budget. Free downloadable forms! Our Sponsor- Personal Capital: Organize your entire financial life into one convenient personalized dashboard- It's FREE! 00:01 Hey, it's time for another episode of ask Jason where I answer your personal finance questions. 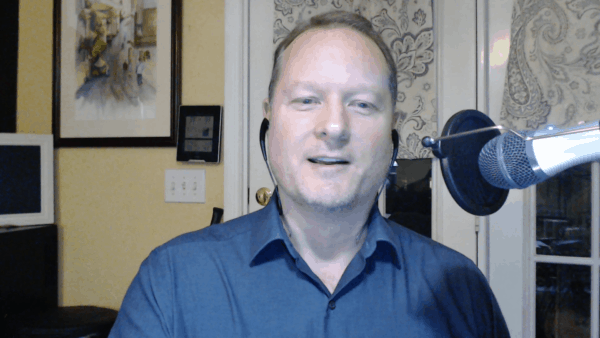 I'm Dr Jason Cabler and of course you can find me on my youtube channel or over on the celebrating financial freedom blog where I teach you all about how to manage your money better, get out of debt, make more money, and do it all from a common sense and Christian perspective. If you'd like to check out the blog, you can go to celebrating financial freedom.com and click the start here button on the main menu and see what it's all about. I'll leave you a link in the show notes. Also, if you're interested in managing your money better, you can sign up for my free 10 day master your money email course. It's absolutely free and will get you on the right track to getting total control over your finances. I'll leave you a link in the show notes for that one as well. 00:53 Now let's get onto the first question. So first is, first up is cindy and Cindy says, hi, Dr Cabler, I want to start investing, but I have no clue where to start or what I should invest in. How can I get started? Okay, Cindy. Well, one of the first things. Well, the first thing I want to start out with is that many people think investing is very difficult. It's there, there are huge barriers to start investing. It's a and it's very complicated and really it's not. I'm investing is something that just about anyone can easily do and you can easily open up a an investing account and really just a few minutes. How Much Money Should She Save? So, but the first thing you need to be thinking about is how much you're planning on saving. Now I, along with many experts out there, recommend that you save 15 percent of your income. Now that may sound like a lot or a little, I don't know, depending on your situation, but if you can't do 15 percent to 10 percent to five percent do something, you definitely need to be investing for your future. 02:08 And certainly if you can do more than 15 percent, that's awesome. Do that, uh, but the more you save, the more wealthier going to build over time, the more that money's going to work hard for you and it'll pay off big time in the long run. 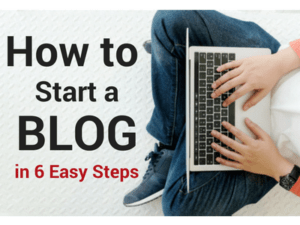 So now that you know that, where, how can you get started? So the first thing you need to do is you need to sign up for an investment account. And typically for most people, the best thing to do is to sign up for a Roth Ira. That's for, for the general public, for most people in most income brackets. That's the thing you should be doing. Maybe in addition to also a 401k if your workplace offers that. But um, to sign up for a Roth Ira, it really takes only a few minutes and it's just a basically filling out your personal information and linking your bank account to the, uh, to the investment account so you can transfer money over to it so that you can put money into the investments. 03:17 And that's really about it. And you can do this. There's so many places to do it these days. You can do it online obviously, and you can do it at a websites like vanguard, which is really one of the premier sites. That's where I placed my, all of my investments and I've been very happy with them over the years. A vanguard, each trade, uh, Schwab, um, there literally Ameritrade. They're literally dozens and dozens and dozens of online brokers out there that you can use most. All of them do a good job. The thing I like about vanguard though is that the fees are very low. They had the lowest fees in the industry and fees can really add up over the years if you're not careful. And some of these brokerages will, uh, can gouge you. Now. There are the fees have come down overall for all the companies over the years. But vanguard still remains always the lowest fees in the industry, bar none. 04:18 So, um, you know, just look, look for vanguard. I don't get any money for that. Uh, but that's where I've placed my investments. That's where I've placed my trust and it has worked out very well for me over the last 25 years or so. So now what you want to do when you opened that account, the first thing you're going to do is you're going to pick a money market account that you will put your money into and when you. That's the. That's the place where when you have money in your bank and your checking account and your savings account, you'll transfer that money over to, let's say vanguard to your investors, to your Roth Ira and you'll transfer it into that money market fund, and then from that money market fund, you're going to invest in things like stocks, bonds, mutual funds, etfs, lots of different things. 05:12 Now what I recommend is a beginning investor. It sounds like you haven't invested really before Cindy or haven't done much with it, don't know much about it. Probably the best thing you can do at this point, you, first of all, you don't want to leave that money in the money market account because you're not. You're getting almost nothing. It's basically a savings account, which means you're getting almost no return on your money. So you want that money working for you. You want it in the stock market. And so the best thing you can do is to put it in an index fund. Basically what an index fund is, is it tracks the stock market. So to be a stock market investor, you can invest in the entire stock market, uh, using index fund and basically it tracks the value of all stocks in the stock market and you gained from that. 06:05 So when the entire stock market is up, you're up. When the entire stock market is down, you're down. You don't have to use any special trading strategies, you don't have to, you have any special knowledge in order to make that investment. And you're just tracking the stock market. And that's not a bad thing because one thing you can bank on is that the stock market is going to go up, the stock market is going to go down, but over the long haul it always goes up. So that's the great thing about an index fund. It doesn't take any special knowledge, any special, anything. It just, you just need to put your money in it. And one of the most popular ones out there is the vanguard total stock market index fund. So that's a good one to invest in. And there are also other funds that, uh, for instance, uh, you can invest in the snp 500, which is a basket of 500 of the top stocks. 07:06 And, um, that's another, a good index fund to be in. Anything that tracks the s and p 500. So that's a great way to get started. It's very basic, it's very easy to do and it only takes literally 15, 20 minutes to sign up for an account and get started in your own Roth Roth Ira. So now from there, Cindy, what I want you to do is one of the best things you can do is educate yourself on investing. Read books about it, read blog posts about it, breed. Just watch videos, watch, learn everything you can about investing. And so you know that when you're doing, when you're wanting to invest in certain things, that you're doing the right thing. But you know what? If you're not that interested in it and it's not something that you really want to worry yourself with that much, then just keep your money in the total stock market index or an index fund. 08:11 Leave it there until it's time for retirement and you're still going to do well. So even with that, you don't have to necessarily have to totally educate yourself about investing to a high degree, but I do recommend even if you're going to leave it there and not do anything else, you still need to be. You still need to be educated about investing to a certain degree. So do that and I think that will really serve you well over the years. All right, let's get to question two. And that is from Sandy and sandy says, I need to know how to pay off debt a little at a time so I could get out of debt hopefully this year. Um, so that's one of the things that I teach a lot about sandy. And um, the first thing that you absolutely got to do when you're wanting to get out of debt is to make a plan. 09:14 And that's one thing that a lot of people, if they, if they even do that, you know, a lot of people, they just kind of haphazardly attack their debt and they have paid pay some down here, they pay some down there and they really don't have a good plan. Um, but I really believe in having a good solid written plan. Now I'm not saying, I'm not saying that you have a plan to where you say, okay, I want to pay this off right now and then I'm going to pay that off later. And then, you know, have a good solid written plan. And there is a, there's a good way to do that called the debt snowball a, I've in the past called it the debt rocket, which is basically the same concept a. But basically it's the concept of paying off your debts one at a time from the smallest debt to the largest debt. 10:06 And as you go along and as you move along that continuum, that debt payoff picks up speed and, um, you get your debt paid off a lot quicker. And so now I've written a lot about that. I've got a lot of good blog posts over on the website and over celebrating financial freedom that will help you with that. I've even got free forms that you can fill out your own debt rocket forms and you can make your own plan very easily. All the only information you need is just a list of your debts and you can list them out from smallest to largest and start from there, so that's the first part of the plan. 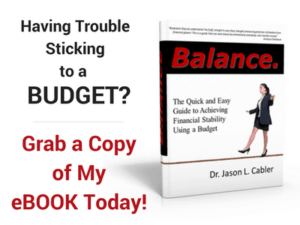 Now, the second part of the plan is that we'll get you out of debt even quicker and that will make sure that you're developing the right habits so that when you get out of debt, you don't go back into debt later, is to do a written budget, excuse me, do a written budget every single month, and the value in that is that you're keeping track of your money. 11:14 Now, when I talk about doing a written budget, I'm not talking about doing a budget where you look back and see what you spent last month and the month before and you're and you're tracking your expenses. That's not what I'm talking about. What I'm talking about is doing a forward looking budget. Basically what you're doing is you're spending all your money on paper before you spend it in the real world and when you do that, you actually have a plan for how your month is going to go instead of reacting to what happened last month and hoping you can get by again this month. So it's a forward facing plan that accounts for every dollar and assures that you know where your money's going, that you know how efficiently you're spending it and that you can direct your money to the right places in the right amounts so that you never spend more than you make. 12:10 And that is very important. So I've got plenty of posts over on the website over at celebrating financial freedom, um, with, uh, I'll, I'll direct you, I'll leave a link in the show notes to my budgeting page that has all the information you need. It's got all the links to my budgeting posts and it's got links to all the free forms. I've got free budgeting forms and I got free debt, rocket forms, and you can get going. So it's a great way to go, but also keep in mind that I also have an online course, uh, that you might enjoy and I think you would enjoy it and they'd go and a lot more depth than just the budgeting page does and it shows you how and why people so easily get in into debt, how to avoid it in the future, how to make it get out of debt. 12:59 Plan, how to keep track of your money properly so you can grow your money and your wealth in the future. So if you're interested in that, I will leave. You can find that over at Udemy dot com. And again, I'll leave a link to that in the show notes as well. So you can check that out. Uh, it's a, it's a great course, it's helped a lot of people and it has a five star rating! Everybody that's taken it has gotten great things out of it and it's helped a ton of people, so definitely check that out. 13:31 So, uh, the, I believe that's all we need, we can cover for sandy there. James Wants to Take a Loan from His 401k- Is This a Good Idea? So, uh, let's move on to James. Question number three, and James says that he is a, he says, I'm thinking about taking out a loan from a 401k to pay off my debt. If I do it, I can be debt free except for my house and start over fresh with no debt. What do you think? Well, James, I'll tell you, I'll be really blunt with you here. I think that's a terrible idea and there are several reasons for that. But first, let's talk about taking a loan from your 401k and how you can do that and why some people might think that's a good idea. So the great thing about having a 401k, you can amass a lot of money and one of those accounts, it's a retirement account. 14:30 It's meant for saving up, for retirement. However, the government, uh, and their infinite wisdom has said, uh, in the law and the 401k law that you can take out a loan from your 401k and you can do that. You can borrow up to 50 percent of your account balance. So for instance, let's say you got $50,000 in your 401k, you can borrow $25,000 from that 401k, uh, now, one good thing about that is that there is no penalty for doing that. You're not paying any taxes on the loan. So it might sound attractive to you to be able to do that. Wouldn't, you know, wouldn't you rather borrow it from yourself then borrow the money from a bank? And maybe so, but, um, oh, and another provision is that you get up to five years to pay off the loan. 15:24 And another advantage is that the loan is usually you can take it out at a lower interest rate, then you would say, uh, by using credit cards or some other high interest, a type of loan to pay off your debt. So that, that all sounds great. And, um, for people that like to borrow money, well that's, you know, that that may be an option, but I don't think it's a good one. And here's why. Um, there are some big consequences to a 401k loan that a lot of people don't think about. So think about this. When you're taking money out of your retirement account, what's happening? You are taking out money that is supposed to be in that account growing, building your wealth and making you money for your future. Now when you take that money out, that money is not available to make you money and now, but you say, well, you know, I'm going to be paying that back with interest and that sounds like a good thing. 16:30 You know you'll be still making interest on the money. But think about this. The problem is, is you're having to pay that back, pay that interest, that interest is coming out of your pocket. Now, would you rather that money be in your retirement account and the and making money in the stock market and letting the market and make money for you? Or would you rather that money be in your pocket and you paying it back and paying interest out of your pocket back into that account? You know what? I'd rather have the market pay me money, the market getting me some appreciation on investments instead of that, instead of that appreciation coming from me, I don't want to be paying interest into my retirement account. You know? That's. That's why I put it in the market so the market can grow it, so that's a big consequence there that a lot of people don't think about and ultimately you typically end up with less money in your account when it comes to retirement because you've done that. 17:37 Now there is another serious consequence about taking a loan out of your 401k that almost nobody thinks about as well, and it's that a 401k loan does not solve your problem, so you think that taking out the loan is going to solve your problem in that is going to get you out of debt except for your house. It's going to pay off your credit cards, your car notes, a whatever other debts you have. That sounds like a great thing and it is a great thing to be able to pay those off. However, it doesn't solve the problem. What's the problem? The problem is the behaviors that got you into debt in the first place. So when you got into debt, um, it's probably because, for a lot of reasons, a lot of people have credit card debt. We think we need credit cards to get by and ultimately you really don't need credit cards in your life. 18:35 Um, I haven't had a credit card and Gosh, 12, 13, 14 years now haven't needed one. Don't miss them and you know, you just don't need them. And so, but they cost you money when you take out debt on those credit cards. So that's a behavior thing most people don't think they can do without credit cards. Same goes with car loans. People think that you have to take out a loan to buy a car simply because cars are expensive. How am I going to afford a car if I don't, if I can't take out a loan for it, I mean I just don't have, you know, 10, 15, 20 grand laying around. Well, there are ways to take care of that as well. But when you take out a loan from yourself, whether it be from a 401k or from anywhere else to pay off debt, it's great that the debt's paid off, but you're not changing your habits and what's going to happen. 19:29 You're going to continue using those credit cards. When it comes time to buy a new car, you didn't change that habit. You haven't been saving up for a new car and you're gonna end up getting a loan for another car and whatever other loans and financing that you need for other things in your life. So the best thing you can do is not worry about taking out a 401k loan or any other kind of loan. The best thing you can do is what I just told 'em what Cindy, I'm sorry, not Cindy, but sandy a minute ago, and make a plan to get out of debt. Get a debt snowball planning a debt rocket plan, start doing a budget and have a plan for paying off that debt in a systematic fashion. And when you're able to do that, when you follow that system, you're able to change your habits. 20:27 It forces you to change your habits so that you're using your money differently and you're not incurring any new debt and that will get your debt paid off, your money will stay in your 401k plan, it'll still build wealth for you and you're still going to do well for your future. You're not going to jeopardize, jeopardize your future, and you will have four new habits that will get you out of debt and keep you out of debt forever as long as you keep, as long as you keep 'em. I'm practicing those habits. So my opinion, the worst thing you can do is take out a loan from your 401k. It's just not worth it, James. Okay. Well, that's three questions. That's all we're gonna do today. Um, so that wraps things up for this episode of ask Jason, I hope you enjoyed it and came away with something you can use in your everyday life. I've left links in the show notes to the blog posts and the other resources I mentioned in the show. If you have questions you'd like me to answer for you, simply shoot me an email at the, at the address in the show notes, or just leave a comment below and maybe I'll be able to answer your question in the next episode. Until then, have a great week. Be Blessed and I'll see you soon. 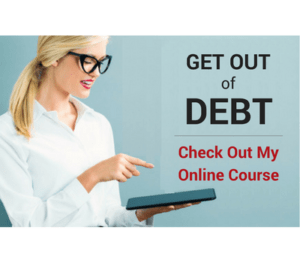 Answering questions about how to get out of debt a little at a time, how to start investing with a little money, and taking out a 401k loan to pay off debt.